You see the signs every time you look in the mirror. You’re losing your hair. While we all lose hair as part of the natural hair growth cycle, if your hair loss is becoming noticeable, it could mean you may benefit from a hair transplant. Your hair loss may be farther along and you could already know that a hair transplant is a strong possibility. If you’re thinking you might want a hair transplant, you need information about what lies ahead. RHRLI wants to give you that information and wants to tell you about our hair transplant that can be a permanent solution to your hair loss. RHRLI is the only hair restoration center on Long Island that has the ARTAS® System, which uses robotic technology to give you a healthy head of hair. Patients report that ARTAS® is virtually pain free and its robotic precision will give your hair the most natural look out there. Let us tell you more about this hair transplant option. The first question you likely want answered is if you are a candidate for a hair transplant. According to the American Hair Loss Association (AHLA), candidates need to have a realistic expectation before they go into a hair transplant procedure. One big consideration is if they have a sufficient amount of donor hair. If you’re unsure, consult with RHRLI. Men who’ve had male pattern hair loss for more than 5 years. 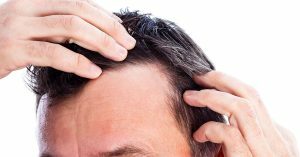 Men whose hair loss pattern have stabilized. Men or women who’ve lost hair due to trauma such as burns. Men or women who have lost hair due to prior cosmetic surgery. At your consultation we will examine potential donor areas to see if the procedure is feasible. Once it’s determined that you are a candidate for the ARTAS® System you will learn about this difference between our procedure and other transplants like strip surgery. Your ARTAS® procedure will be virtually pain free. Your hair will be harvested from your donor area using robotic technology. Unlike strip surgery, there will be no need for a scalpel and there won’t be a painful, linear incision or scar in the donor area. The donor hairs will be transplanted to areas where your hair is thinning, according to the ARTAS® website. Because of the robotic technology employed by ARTAS®, your transplanted hair will look more natural than procedures that involve the use of a handheld device. That’s because the ARTAS® system eliminates factors such as human fatigue and error. Within six months you’ll have thicker, more visible hair growth and that hair growth will continue over time. If you’re considering a hair transplant or if you’re already certain you need one, make an appointment to consult with RHRLI. We’ll take you through all the steps of the ARTAS® procedure and let you know if it’s right for you. Contact us today.